AHH I never thought this through - one thing i needed was for the sensor to be simply binary. i.e. if I put my output from my traditional motion sensor into a temperature dry contact sensor, it wouldn’t give me a 1 or a 0 it’d give me nonsense. That’s why the Mimolite exists, but also why it’s more expensive. You can set it to report for a given range. Also, technically every Z wave device can “accept input from external sources,” that’s what the radio communications are. So I do think you need to make your topic title more specific. Yes, price is the main reason. thanks @xdreamwalker! does it open up to have dry contact input? or did you have to hack the hardware in some way? There are screw terminals inside for the external contact. You will need to make a hole in the case for wires. There is a thread around here somewhere that has more details. Wha I don’t know is if they make a UK frequency version. 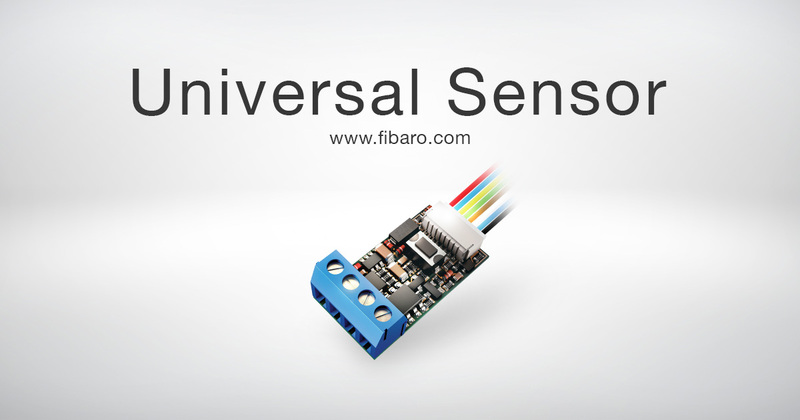 For the UK, look at the Fibaro Sensor options. They are available on the UK zwave frequency but not on the US frequency. They are quite popular in the community. And here’s their “universal sensor” which is designed for the purpose. thanks, yes indeed the Fibaro Universal one looks to be the right match for me. 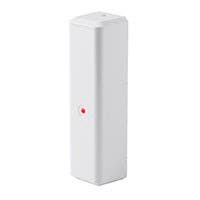 Zwave has different frequencies for the US and the UK so you have to get one which exactly matches the frequency of your hub. Zigbee, such as the Xioami sensors use, is the same in both regions, you just have to match the profile to one that smartthings uses. Hi @JDRoberts was wondering if you could help advise on something. EDIT: I’ve just seen that the available Fibaro door sensor is now the v2, whereas all posts I can find on this forum are for the v1, do you have any idea if the v2 has dry contacts? Yes, most people find the contact sensor easier to work with. I believe @RobinWinbourne has used some Fibaro sensors in this manner, he may have more to add. I believe the v2 doesn’t have dry contacts. thanks Alwas! Saved me buying another expensive device! Really struggling to find a basic contact sensor with dry contacts for use with my GuardLink driveway alarm in the UK - has anyone got any more suggestions for me please? Your link is broken, but you know the three basic rules of home automation , right?
. The ZG8101 has 2 normally closed contact terminals. These can be used for additional external switch wired contacts. We will leave finding a copy of the manual online as an exercise for the reader. Cheers. I’m learning. Im a bit put out by my failure with the fibaro universal as it’s technically a more suited device. It makes me a bit hesitant of ordering in case it’s a waste of money. Do you reckon a built in generic “z wave motion sensor” device handler could work with the vision? But I would think a better choice for you would be the vision ZD 2102, which is a contact sensor with dry contacts. A motion sensor detects some other object moving around the room, in home automation usually through very small changes in heat moving across the field. An accelerometer reports its own changes in movement. A tilt sensor can either be an accelerometer or it can just be a device which has multiple contact points (inclinometer). A contact sensor reports when the sensor becomes close enough to a magnet to move an internal reed. Consequently a contact sensor has two stable states. This makes it a little bit easier to use for the purpose you intend.